One of the best things about Hill station is that they are surrounded by lush greenery from all around and they are one of the best spots to spend the vacations. With the natural beauty of flora, pleasant weather, low currents of water flow all blend together to give an unforgettable experience. Mount Abu is a hill station in the Aravalli Range in Sirohi district of Rajasthan in western India, near the border with Gujarat. It is one of the popular tourist spot, home of natural beauty to historical and architectural places. Mount Abu is located at 24.59250N 72.70830E in Sirohi district in Rajasthan. 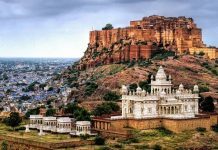 The Rocky Mountains are 22 km long and 9 km wide and the highest peak on the mountain is Guru Shikhar at 1,722 m (5,650 ft) above sea level and is referred as an oasis in the desert (Rajasthan). 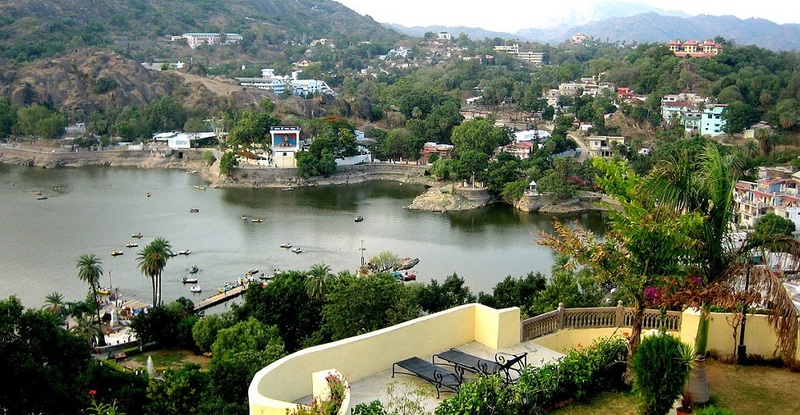 Mount Abu is a source of rivers, lakes, waterfalls and evergreen forests. The mid of April to mid of June experience the summer with an average maximum temperature is around 360C. In monsoon, temperature falls down and gives relief in the area. In winters mercury ranges from 160C to 220C. Nights are cool with temperature dips to 120C to 40C, Maximum dip in temperature experienced is low as -20C to -30C. Mount Abu is also visited because of rich in heritage and historical places other than geographic terrain. 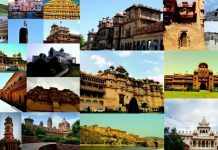 The Dilwara Jain temples are a complex of temples built between 11th and 13th Centuries AD, 14th the century Achalgarh fort is another tourist spot. It encloses several beautiful Jain temples, including Achaleshwar Mahadev Temple and the Kantinath Temple. Another popularity of Mount Abu is Nakki Lake in the heart of the city, Raghunath Temple Maharaja Jaipur palace is also near Nakki Lake. The Mountain homes several Hindu Temples including the Adhar Devi Temple, Shri Raghunathji Temple etc. This place is blessed with spiritual and as well as nature’s gift, it is the perfect place to enjoy adventure and eco-tourism. Mount Abu is surrounded by beautiful landscapes, hill, lakes, waterfalls, sunset, sunrise points and lush green forests. It homes more than 17 nature trails and a pathway which is suitable for adventurous activities. You can enjoy trekking, rock climbing, horse safari, rappelling, wildlife, bird and flora watching. 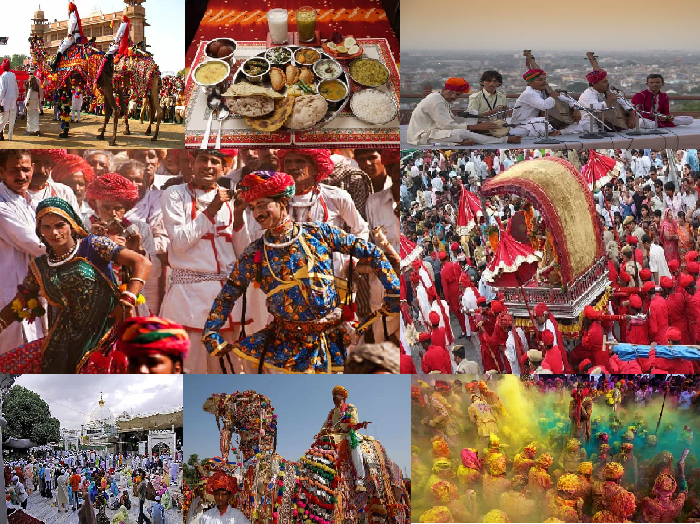 You can also enjoy and part of tribal and Lok Rajput culture. The real beauty of the place is hidden in jungles and mountains with various wildlife observing paths, mountain biking is another adventure, giving breath through, the lifelong memorable experience of riding bicycles on mountains. The place has a potential for enjoyment and you can explore the place by camping in wild and making your trip unforgettable and exciting. Mount Abu is well connected by Rail, Air and Road Transport, nearest airport are Udaipur 185 km away, Abu Road railway station 28 KM away from the city and is well connected by road. The Nearest national highway is NH-14 which is just 24 kms away. Places blessed with nature and the spiritual are perfect packages of harmony and to sense its intrinsic part is to explore more and more. Next articleDare to Visit These Six Haunted Places in Chandigarh?